Teraz hrať Charming Lady zadarmo online! 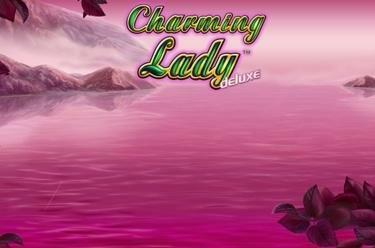 Charming Lady, a slot with 5 reels and 10 win lines, is all about the Charming Lady and lucky symbols like the Rabbit's Foot and the Horseshoe. The Charming Lady symbol scores the highest winnings. Your goal in Charming Lady is to land 5 identical symbols along a win line. In the regular game winning combos start on the first reel to the left, continue along a win line to the last reel on the right and may not be interrupted by other symbols. The Charming Lady symbol (Joker) substitutes for any other symbol except for the Scatter (Crystal Ball) and completes winning combos. What's more, the Charming Lady doubles your wins. 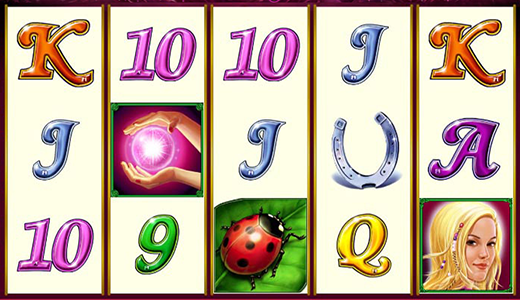 3, 4 or 5 Crystal Ball symbols in any reel position trigger 15 free games with multiplier. Free games are played with the bets and win lines of the game that triggered the free games. During this feature any win is trebled by a multiplier. If the Crystal Ball symbol lands again during the free games you might earn further free games. “Luck be a lady tonight” sang Frank Sinatra in 1965 and we have taken his request to heart in the slot Charming Lady: We make Lady Luck happy so that she can make you happy! Naturally, the beauty needs some tools of the trade, such as Rabbit's Foot, Horseshoe and Cloverleaf, to be at her best – and so do your winning combinations! In other words, if you're lucky, nothing can get in the way of your winnings any more!